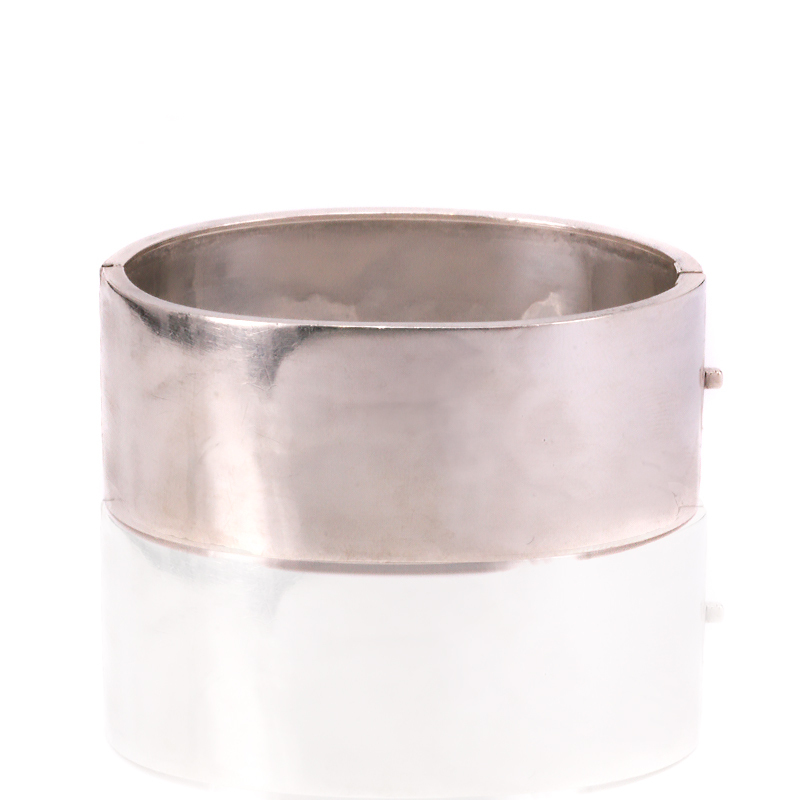 Product code: ES7781 Categories: Sold Items, Sold Jewellery. Perfect for any occasion comes this wide antique sterling silver hand engraved bangle that dates from the late Victorian era of the 1890’s. The difference between hand engraving and machine engraving is so easily seen when you look at the quality of the hand engraved sections in this bangle. The time needed to hand engrave this would have been immense and the quality is just superb. With such a smooth finish, it is so tactile to feel under your fingertips and is a real testament to the quality that was being produced over 100 years ago. Measuring 24.8mm wide, being hinged and oval in shape, allows this to sit nice and close to the wrist and is incredibly comfortable to put on and leave on during the day and well into the night. 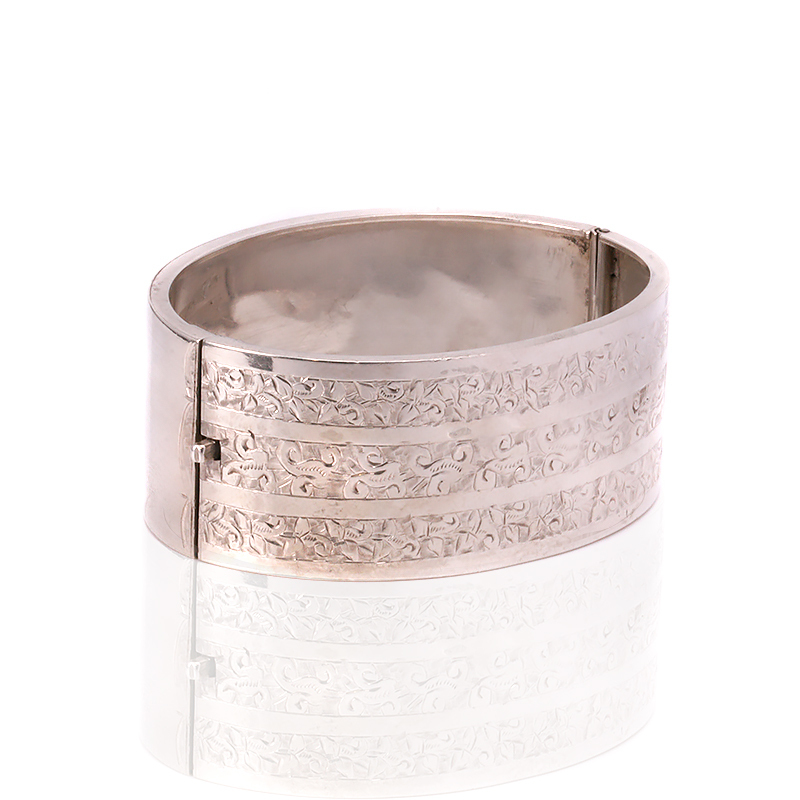 Antique bangles are always so sought after, and this lovely wide silver one is just all the more gorgeous with the delightful hand engraving making it not only unique but also so beautiful.